Today I have an interview from Lisa Ruman. I met her on Facebook, and she has a very encouraging story to share on how she managed to stabilize her vitiligo and stop it from spreading any further. 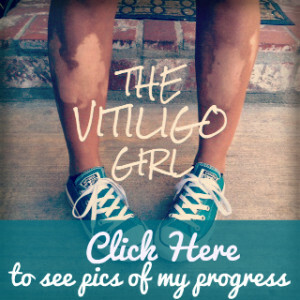 Her vitiligo has been stable for two years now, and she did it naturally! 12 years ago, when I was 21, I thought of myself as a totally normal, healthy, disease free person. I was recently engaged to be married. One day I noticed a white spot in the corner of my mouth, about the size of a pencil eraser. I thought it to be weird but never questioned it, plus a little foundation covered it right up. 6 Years later, I was expecting my first child. As most moms can attest, I was anxious about what to expect. I was debating whether I should quit my job to be an at home mom or continue working. I never noticed the inside of my wrists losing pigment. One day, again, I just noticed it – the pigment was gone. Now I was a bit embarrassed because I had no idea what it was, why it was there, or what to do about it. I just bought a few chunky bracelets to hide it. I have spots on my face, hands, arms, underarms, abdomen, buttocks, knees and feet. It has been stable for about 2 years. I noticed that when life was the most stressful, the vitiligo spread quickly. I also have autoimmune Thyroid and have 2 family members with vitiligo. Genetics and existing autoimmune conditions are factors to consider when trying to understand the cause of the vitiligo. 4. Did you change your diet? If so what changes did you make? 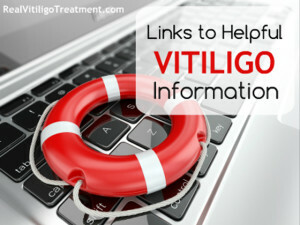 Why do you feel diet is important when it comes to vitiligo? Prior to me seeking serious treatment, my diet was very SAD (standard American diet). It changed dramatically 3 years ago. I began to see a naturopathic doctor who taught me a lot about food intolerance. From her I learned to avoid dairy, soy, and gluten. I later learned I had a mild allergy to corn and peanuts, so I try to avoid those as well. I became motivated to beat this thing and went to school to become a Health Coach. There I learned a lot about feeding my body in a way that was best for me, since we are all unique, there is no one size fits all diet. My diet consists of a lot of veggies. I strive to eat organic, limiting meats but not omitting them. I have cut out most restaurant food, processed, or prepackaged foods. This definitely is a lot of work since I am currently raising 5 children 9 and under, but it is worth the effort. For me, my diet hasn’t “cured” my vitiligo. I am not sure that I will ever recover pigment. However, I have learned that it is very important for your total health to have a good diet and I will continue to strive for a clean, life giving diet. I take vitamin D and probiotics, occasionally fish oil and a vitamin B complex. None of these are specifically aimed at re-pigmentation but they are important for my overall health. 7. What topical treatments have you used to help you re-pigment? I used a steroid cream for a short time when I was first diagnosed about 5 years ago, but realizing how expensive and ineffective it was, I stopped. Besides changing my diet for health, self care has been critical in stopping the spread. I find time to pursue my interests, exercise including yoga, breathe, drink relaxing teas, get a monthly massage and spend time with friends. This seems like a lot of self care, but I fit it in between taking care of my family and running a start up business. Prioritization is key and giving up non-life giving activities has totally freed me. It took 1 year for my vitiligo to stop spreading. I have not sought additional treatment for re-pigmentation because I am very skeptical of supposed treatments. I am not saying that all treatments are bad, as I said before, we are all unique and what works for one may not work for all. This is a hard pill for me to swallow since I would LOVE for my skin to be back to normal. I look at it now as a blessing to share my message of hope and faith. 10. What advice would you give to someone who wants to reverse their vitiligo? Where should he or she start? My advice to others looking for healing is this: Take seriously your health – you have one body and this disease is telling you that something is not right. Find your true beauty, it feels impossible to not care about our looks. However, I find my true identity in Christ, through him I have learned to love myself and find my priorities in life. Vitiligo is not easy to live with, connect with others who can empathize with you so you have a community to love on you! 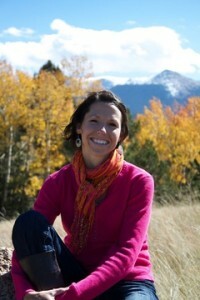 For more about me, visit my website www.RedeemWellness.com. I work with Christian women, coaching them for better health, weight loss, and balanced lifestyle choices.